“And then something odd happens. My awareness (of myself, of him, of the room, of the physical reality around and beyond us) instantly grows fuzzy. Or wobbly. I think I am dissolving. I feel -my mind feels- like a sand castle with all the sand sliding away in the receding surf. What’s happening to me? This is scary, please let it be over! I think maybe if I stand very still and quiet, it will stop. WRONG songs on the second CD! I noticed the track number and names of the songs on the CD go as the book describes…but the songs actually played are different! For example, the second song according to the book AND the CD track name is “L’amour Est Un Oiseau Rebelle“…but in reality the song played is “Una Voce Poco Fa“! All songs except the first are wrong. Is it only my copy that has that problem? I got it from Amazon. 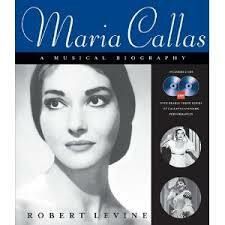 The book itself is great, the pictures too, it is very easy to read and with the accompanying CDs can be a great introduction to Callas. A minor drawback is that the author gives the dates of the performances of some songs and not all. I also noticed some fairly obvious typos in the text but I guess this also proves I got a bad copy. Well, it seems there’s an app for that! I’m not kidding i just found it out, if you have an iPhone/iPad you can download (it’s free) the app Ben’s Virtues, it’s a simulation of his notepad for the practice of his 13 virtues. The second part which should be the most important(his mature life) tends to be the most tiresome, giving emphasis in many trivial aspects of his life while omitting more important ones.